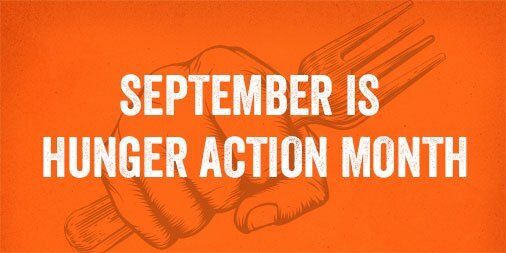 Be a #HungerHero during #HungerActionMonth. 1) Share details about how to access our Daily Kitchens and Family Cafes. 2) Message us about volunteer opportunities. 3) Make a donation. Your support is greatly appreciated! The Attleboro Area Interfaith Collaborative invites your congregation or organization to participate in the annual 5K CROP Hunger Walk on Sunday, October 21 at 1pm, beginning and ending at LaSalette Shrine. Registration will be at 12:30pm. The funds raised will support the work of our local Food ‘n Friends kitchens (25%) and the national and worldwide work of Church World Service in reducing hunger and poverty (75%). There will be a Recruiters Rally on Monday, September 24 at 6:30pm at Central Congregational Church, 115 Commonwealth Ave, Attleboro Falls. This session will help recruiters to encourage participation and materials will be available as well as help with on-line registration, which is the easiest way to do fundraising. Adam Smedberg from CWS will give an update on their work. There will be soup and dessert for all in attendance. Please make sure someone is present to represent your faith community. We look forward to seeing you. If you cannot be present, please contact the Collaborative (508-222-2933) to receive registration materials. Attleboro Area Interfaith Collaborative is ready once again to promote your holiday fairs, meals, and activities for the coming year. We ask that you fill out the attached form and return it by Friday, September 7, 2018. Once received the information will be submitted to the Sun Chronicle and placed in the 2018 Directory of Interfaith Fairs. The finished booklet will then be emailed to your congregation. If you have any questions about the form please contact me at 508-222-2933. We look forward to fellowshipping with you! ATTLEBORO, MA – Kids and teens, 18 years and younger can enjoy a free lunch at sites across Attleboro, North Attleboro and Norton throughout the summer. The Kids Summer Café, Summer Food Service Program is a safe fun way to get a nutritious meal when school is not in session. It is open on Tuesday, Wednesday and Thursday from 12 noon to 1pm from July 3 through August 16 (closed 4th of July). No registration is required. Meals will be provided, at a first come, first serve basis. SFSP is a privately and federally funded program administered by Massachusetts Department of Education that provides kids with a healthy lunch when school is not in session. Here in Attleboro, it is sponsored and run by the Attleboro Area Interfaith Collaborative, Food n’ Friends Program. This year, the program is proud to include new local sponsorship. Willow Tree of Attleboro will be providing the chicken for sandwiches that are on the menu once a week at all the cafés. A returning collaborator is Attleboro YMCA. In addition to lunch, fun activities are planned for youth participating at the Attleboro and Norton Kids Summer Cafés. Food n’ Friends will provide activities at the North Attleboro site. With a core of volunteers and the financial support of many supporters, this program is made possible. Additional Food n’ Friends Programs are Daily Kitchens and Family Cafés. 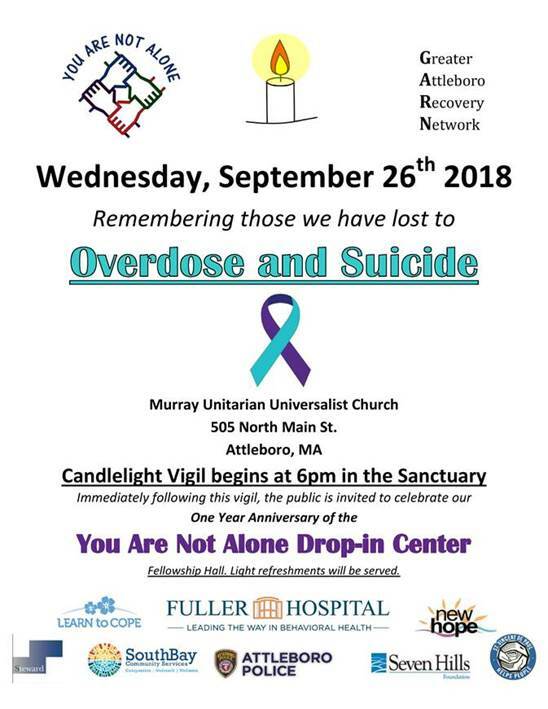 For information, call Pam Tarallo at 508-222-2933. HUNGER TO HOPE – THANK YOU! For the first time in decades, hunger is on the rise. Attleboro Area Interfaith Collaborative hosted a Spring Benefit at Hillside Country Club. The support locally was overwhelming, raising over $26,000. This event featured a show with local comedian Candace Sallale. Our auctioneer was Tim Sullivan. Event sponsors were Acupuncture & Chiropractic Clinic and Larson Tool & Stamping Company. Mansfield Bank provided sponsorship for the grand raffle. Dinner sponsors were Janet & Jim Richardi and The Sullivan Family. Media sponsors were DoubleACS and The Sun Chronicle. Business Advertisers – Attleboro Collision Center; Boston Harbor Wealth Advisors; Casey Law Offices, P.C. ; Castro, Thresher, & Oliveira PC; Collins, Smith & O’Connor LLP; Depco Enterprises, Inc.; Rika Denshi America, Inc. and Technical Support International. Houses of Worship Advertisers – All Saints’ Episcopal Church; Central Congregational Church; Congregation Agudas Achim; First Church of Christ, Scientist; First Congregational Church; Grace Episcopal Church; John Wesley A.M.E. Zion Church; Murray Unitarian Universalist Church; Second Congregational Church; St. Gregory the Theologian and St. John the Evangelist Church. Donation of Silent Auction Items – Attleboro Art Museum, Attleboro Jewelers, Bishop Feehan, Blackinton Inn, Blackstone River Theater, Blazejewski Family, Capron Park Zoo, The Chieftain Pub, Christakos Family, Ciancarelli Family, Veronica Clark, Corso Family, Creative Sewing Studio, Fitzy’s Pub, Footworks, Irene Frechette, Sharon Friedman, Phillip Frink, Hilliards, Hillside Country Club, Innovo Benefits Group, Jimmy’s Pub, Mansfield True Value Hardware Store, MMAS Black Box Theater, Papagallo’s, Quinn Family, Janet Richardi, Rhythm Room Salon Sparrow, Santoro Family, Sullivan Family, Louise Sullivan, Tatutina, Town Wine and Spirits, Trinity Rep and White’s Music. Donation of Live Auction Items – Roy Belcher & Bertha Young, Ciancarelli Family, Coleman Family, Mayor Paul Heroux, Lorri Inglis, Office of Congressman Joe Kennedy III, Llamas Family, Manley Family, Charlie & Wendy Oliver, Second Congregational Church, Sullivan Family and Marcia & Glen Weidner. The event committee included chairwoman Ellen Healey Sullivan, Adrianna Clark, Taryn Degon, Charlie Oliver, Lisa Piscatelli, Janet Richardi and Pam Tarallo.Thank you to the board of directors for all their support. AAIC is the leading agency in the region for providing emergency meals through our Food n’ Friends Program. Last year we served 22,414 hot meals to low-income/food insecure individuals. 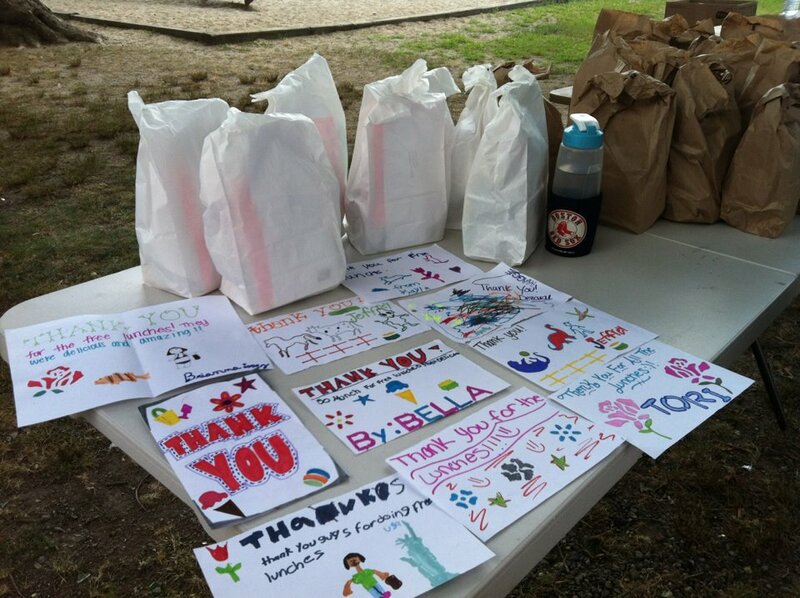 In addition, we served 4,462 bagged lunches in the summer to children in Attleboro and North Attleboro. This year, the Kids Summer Café is expanding to serve youth in Norton. Thanks to the core of Attleboro Area Interfaith Collaborative volunteers, who continue to give tirelessly of their time and hearts to plan, prepare, feed and care for all our beloved guests at Daily Kitchens, Family Cafés and Summer Kids Cafés. Ten percent of households in Massachusetts face food insecurity. A special thank you to all those that attended and participated with the event, “Hunger to Hope.” Your support is ever so vital and valued!